It was a good day. The temperatures dropped overnight and I had a good sleep, other than dreaming I shot some guy with a bright red handgun. He deserved it, as I recall. 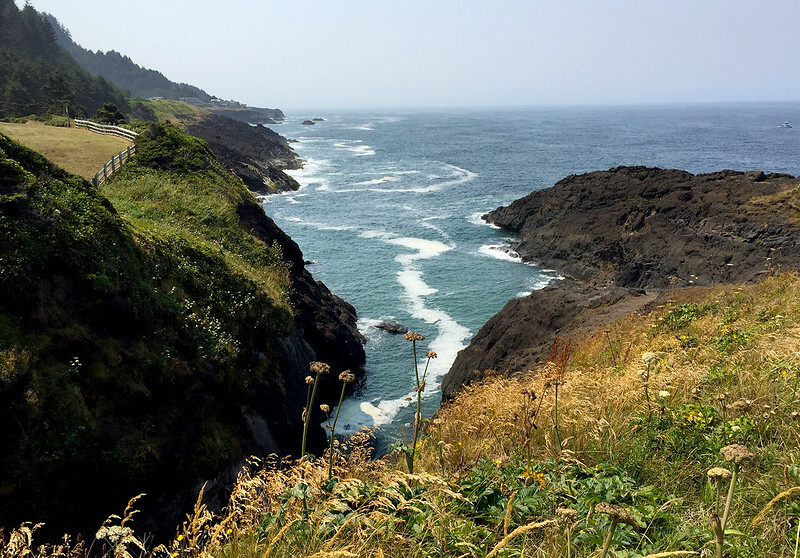 We headed down the coast toward Bandon. We stopped at any places along the way to walk on a beach or see something interesting. We had lunch at Malida's favorite Oregon Coast sushi place. 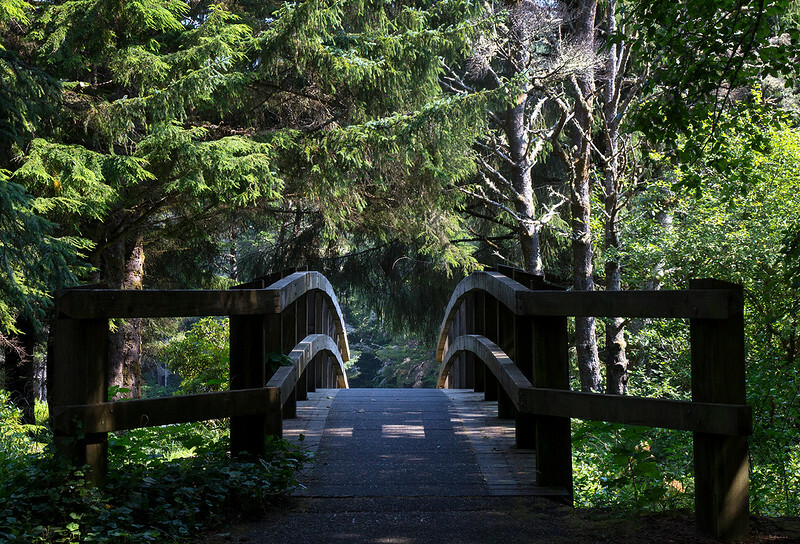 The bridge that leads to the trail to Fogarty Creek beach. It was a fairly secluded spot for a bit. We walked along the shore for a while and picked up a couple of interesting rocks. Lots of people showed up just as we were leaving. The temperature was in the mid 70s, and the beach was very inviting. 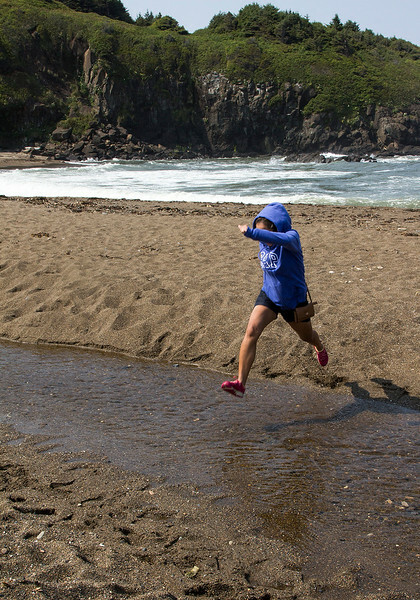 Malida jumps over the creek. Do you think she made it? Later, we found a spot that looked down on a little cove. we got out and looked around for a bit and took some pictures. A few people were standing a ways off from us, and I noticed they were watching the water intently. I wandered over close to them and looked down. I saw something! "What was that?" I asked them. "There's a whale down there!" they replied. We saw a few more whales down the road a bit. 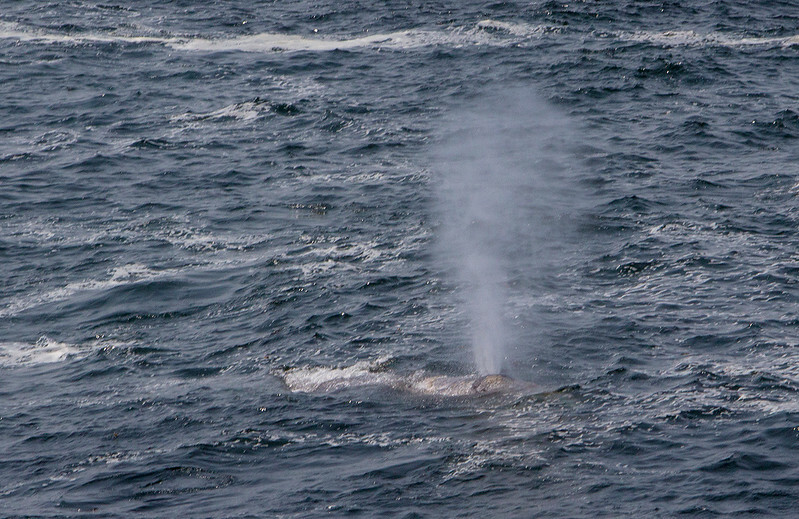 Someone told us they are gray whales. We meandered down the coast and arrived in Bandon at about 5:30. We rested, then went down into the old town to walk around and eat. We will be here for two days, and then head toward home.